Next 29 Oct. 2015, the Moon will occult the bright star Aldebaran, the most luminous one in Taurus. 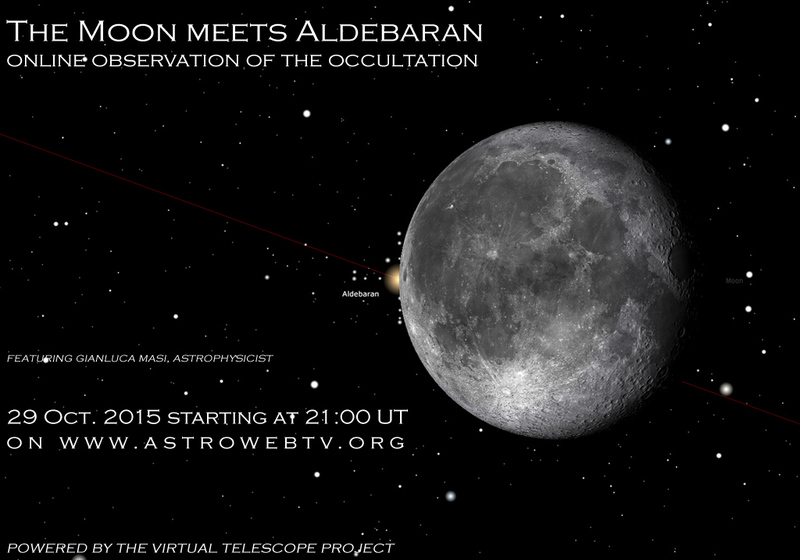 It will be a spectacular sight and here at Virtual Telescope we will bring the experience to you, live, online! Join our free, live webcast from the comfort of your home, you just need a computer/tablet/smartphone and a internet connection. The online, free session is scheduled for 29 Oct. 2015, starting at 21:00 UT.